Another tag snagged from the lovely blog A.M. Molvik’s Ramblings 🙂 If you’ve ever wondered about what it’s like to be a writer (or what I do), this post is for you. 1. What type of writing do you do? Over the years I’ve written pretty much everything, from magazine articles to poetry to blog posts to novels. If I had to choose only one type, though, it would be novels. I have a lot of stories inside me, waiting to come to life. 2. What genres/topics do you write about? My writing is a mix of literary fiction, gothic fiction, and fantasy, with hints of horror and magical realism. My clouds tend to have dark linings. 3. How long have you been writing? I started when I was about six and never really stopped (although there were a few long breaks). Yes! 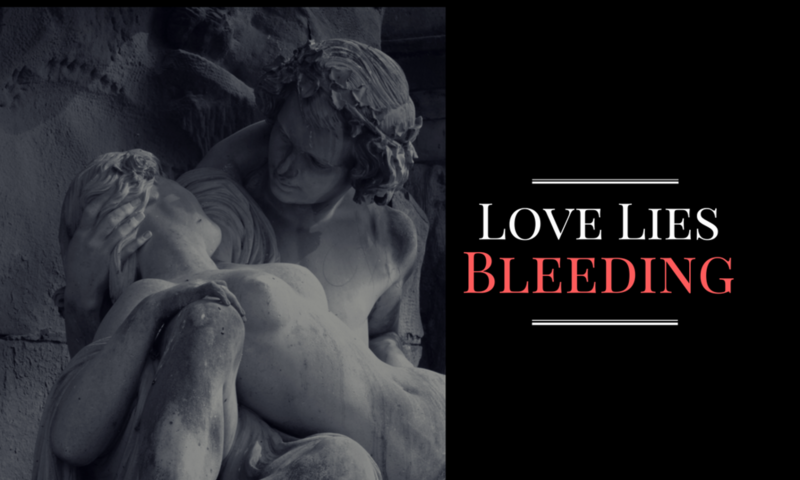 I went the independent route with my novel Love Lies Bleeding and short story Blood Magic, but I would consider traditional publishing if the right publisher came along. 5. What was the first story you ever wrote? The first story I wrote (when I was around six) was a tale of woe about a flower that doomed anyone (in this case, Mary, Queen of Scots, although I have no idea how I knew about her) who picked it. Clearly, my literary influences started early in my career. I also drew said flower with a pen and coloured it with a pink highlighter. Side note: I still have a particular fascination with Tudor history, although I haven’t written about it since. 6. Why do you write? I don’t feel I have much of a choice. That’s what I love, it’s what I’m good at, and it’s what I feel I was meant to do. As already mentioned, I have stories that need to get out. 7. How do you find time to write? You find time for the things that are important to you. If someone “can’t find the time” to write (or to do anything else), it really doesn’t matter that much to them. 8. When and where is the best time/place to write? For me, the best times are in the morning and late at night. Where doesn’t really matter as much, as long as there isn’t too much noise. 9. Favorite foods/drinks while writing? It used to be iced coffee; unfortunately I’ve had to cut it out. Between the sugar and the caffeine, it wasn’t doing me any favours (alas). If I do drink anything now, it’s tea, but mostly I don’t eat or drink while I work (I have no idea how those crumbs got all over my keyboard). Silence. I’ve tried to listen to music while I work, but I can’t. Music interferes with rhythm and the lyrics get into your head, unconsciously influencing how and what you write. I don’t know how anyone can concentrate with music (or the TV) on–it’s some kind of super power. 11. What do friends/family think of you writing? I think it ranges from “that’s cool” to “whatever” to “but what does she do all day?” My partner is completely supportive, though, which is what really matters. 12. What parts of writing do you enjoy the most? I love it when the words come together and flow out of you. Best feeling in the world. (It’s also pretty satisfying when you’re stuck and finally figure out the perfect solution). That’s why first drafts are fun and after that, it’s work . 13. Parts of writing you find challenging? I wish I could be one of those writers who can get a book out every year (speaking of super powers). I’ve got a limit on how much I can write or edit in a day before my brain turns to mush. Hopefully the results are worth the wait. 14. What do you write with/on? First drafts are usually by hand. The editing starts as I transfer the manuscript to my laptop, where I use MS Word. 15. How do you overcome writer’s block? I’ll think/meditate about it. I’ve mentioned elsewhere that I love anything that keeps my hands busy while freeing my mind; that’s how I do a lot of my writing, including overcoming writer’s block. Sometimes I’ll also talk about it with my partner–he’s pretty great at helping me figure things out. 16. How do you motivate yourself to write? 17. Author(s) who inspired you to become a writer? I think the existence of books inspired me to become a writer more than any specific author. My love of stories started early, so maybe I should give the credit for my current vocation to Aesop, Hans Christian Andersen, Charles Perrault, and the Brothers Grimm. 19. Writing goals this year? Aiming to finish my next novel and get it ready for publication (follow me to make sure you don’t miss any news or updates). 20. Best advice you’ve gotten as a writer? Never to give up (I’ve heard that from a few people). Stephen King’s advice to “kill your darlings” isn’t bad either. International Women’s Day is coming up, so it’s the perfect time to read books by women (hey, I’m a woman 😉 ). 1. Find a book for each of your initials. I haven’t read American Gods yet, but I did read Anansi Boys, which is its sequel. I probably should have used that one instead. Either way, I like the trifecta of gods, vampires, and werewolves. 2. Count your age along your bookshelf: What book is it? One of my favourites: Island Beneath the Sea by Isabel Allende. 3. Pick a book set in your city/country. Alias Grace by Margaret Atwood. Not only is it set in my city, but part of it is set close to my neighbourhood. 4. Pick a book that represents a destination you’d love to travel to. Who wouldn’t want to go to Hogwarts, Hogsmeade, Diagon Alley, and the Burrow? Some of the other wizard places are also intriguing, although definitely not Azkaban. Florence, Italy (and Tuscany in general, of which Florence is the capital). Museums, art galleries, cathedrals, history, great food, and beautiful views. I’m kind of wondering why I’m not already there. 5. Pick a book that’s your favourite colour. Sadly, the cover of my copy of H.G. Wells’s War of the Worlds isn’t this beautifully designed (credit to Kjell Roger Ringstad), but it is red. 6. Which book do you have the fondest memories of? I had very fond memories indeed of all of Gordon Korman’s books–until I recently re-read them. Most of them don’t stand up. But No Coins Please, the story of an 11-year-old con artist, is still funny. If you can find a copy, I recommend it. 7. Which book did you have the most difficulty reading? I’m having the worst time getting through a biography of Vladimir Nabokov (I have to read it a few paragraphs at a time in between other books–it’s dry, dense, and long, but at this point I’m too invested to give up). As for fiction, I found James Joyce’s Ulysses tough (I did finish it, though). 8. Which book in your TBR pile will give you the biggest accomplishment when you finish it?